Turbochargers, or turbos, are a common way to increase efficiency and power in today's diesel powered vehicles. Most diesel vehicles produced in the United States as of 2010 are equipped with turbos from the factory. Turbos are designed to compress the air moving into the engine's combustion chambers, allowing more fuel and air to be burned at once. The consumption of fuel and air creates mechanical power, thus increased consumption creates increased overall power output by the engine. Turbochargers work by using exhaust gasses to spin a turbine that powers a compressor that increases the pressure of air entering the engine's combustion chambers. The increased pressure is referred to as "boost." The more revolutions per minute (RPM) that your engine is turning, the more boost you will build. Research the type of vehicle you own and the turbocharger it is equipped with. Turbochargers and boost management systems vary by model. Determine the maximum safe amount of boost for your engine, per the manufacturer's recommendation. Establish a way to monitor the boost produced by your turbocharger. Purchase and install a boost gauge to monitor the performance of your turbocharger and ensure that you do not produce more boost than recommended by your vehicle manufacturer. Boost is measured in pounds per square inch (PSI) and gauges which read up to 60 PSI are available from various automotive performance companies. Locate the RPM gauge, also called a tachometer, on your dashboard. 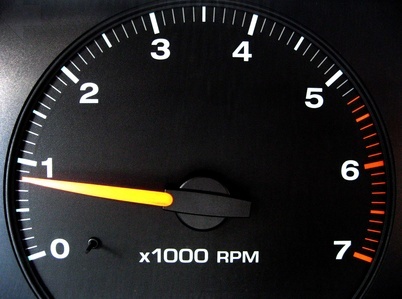 As a stock feature on vehicles, this gauge is normally located on the dash panel near the speedometer. Press down on the accelerator and monitor the tachometer. 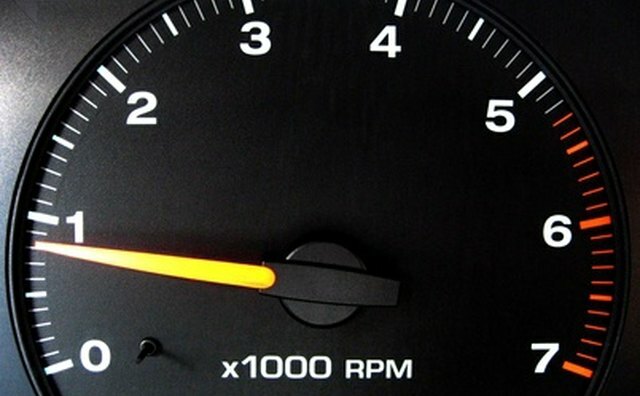 As the revolutions per minute increase, monitor your boost gauge. Boost will increase as RPMs increase. Operating your vehicle at boost and RPM ranges outside of your vehicle manufacturer's recommendations for prolonged periods of time is not recommended.